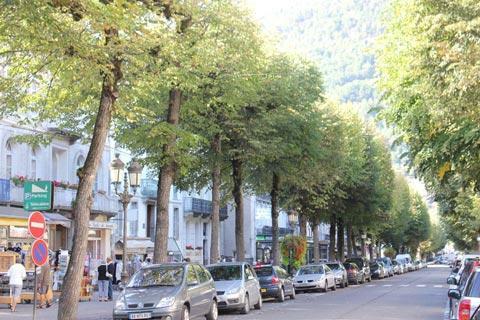 The town of Bagnères-de-Luchon is a spa town in the heart of the Pyrenees, surrounded by steep hills and imposing scenery. The location of the town has been inhabited since the Bronze age, with the healing powers of the thermal waters first recognised by the Romans. 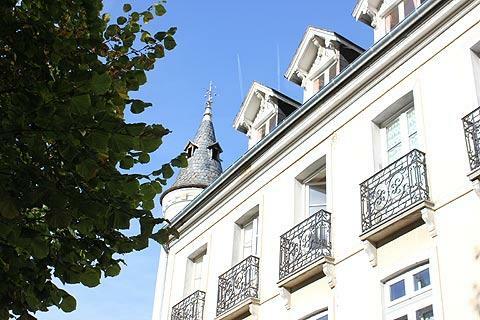 Many centuries later the town had a renaissance when the baths were redeveloped by the Baron d'Etigny - this explains why several hotels and restaurants in the town bear the name of Etigny. 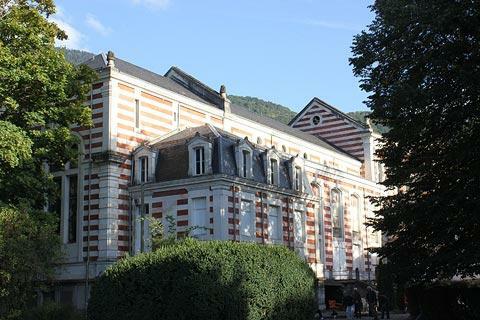 The town continued to develop as a spa town in the 19th century during the reign of Napoleon III and still today Bagnères-de-Luchon has a reputation as an active thermal spa treatment centre. 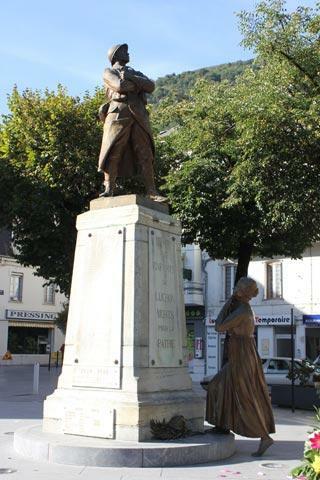 France This Way comment: while some of the 'belle epoque' towns in the Pyrenees appear to struggle on with faded glory and equally faded buildings, Bagneres most certainly gives the appearance of a modern bustling town with an eye to the future. 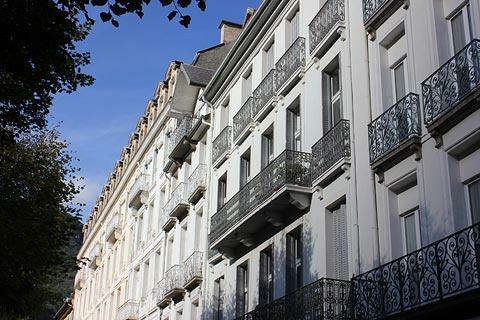 Start your visit in the centre of Luchon where you can see a good number of nicely restored 19th century hotels and grand houses, both along the main tree lined boulevard through the town and also in the back streets around. 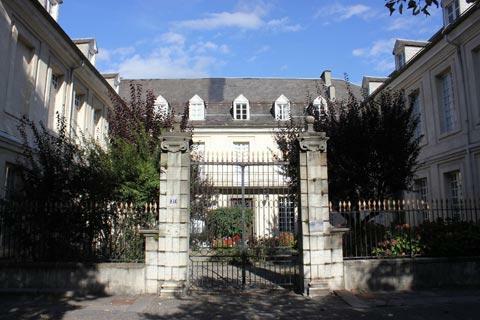 At one end of the main street you can see the very substantial spa complex, where it faces a large square with nicely maintained gardens. 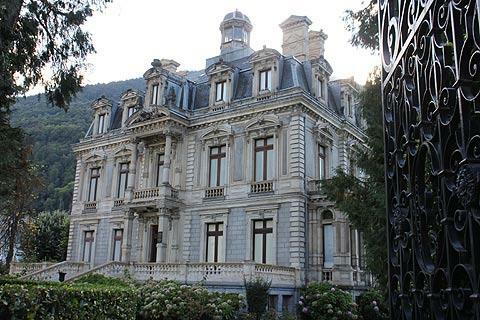 As with any self-respecting French 19th century resort there is a substantial casino complex, an imposing building in red brick and stone, in the centre of Luchon. There are also large gardens around the casino, including established sequoia trees and the town is proud to be a 'Ville fleuri' (a 'town in bloom' noted for its flowers). 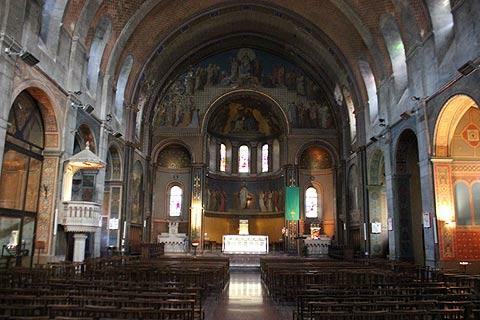 Another particular highlight in the town centre is the church of Notre-Dame of the Assumption, an imposing building in the roman style with some very impressive ancient frescoes around the nave. 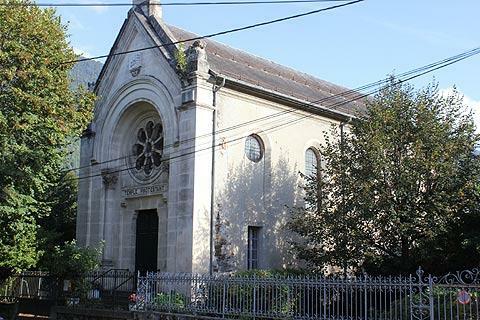 You will also see a small Templars chapel in Bagneres but that is looking rather neglected at the moment. More than these individual highlights it is the town itself that is the big attraction, sunny and lively, clean and friendly, and with a great deal to commend a visit. 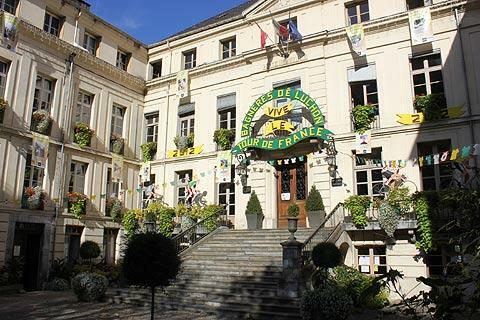 There is also no shortage of hotels in Luchon to suit all budgets, and plentiful restaurants and bars. Weekly markets are held on wednesday and saturday mornings, or every day during the summer months. 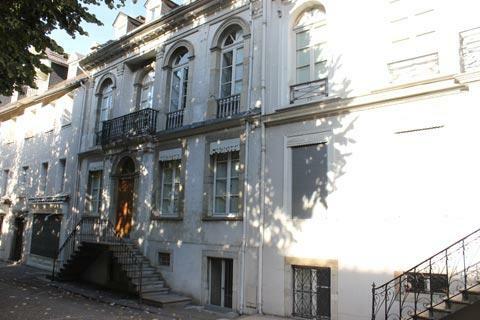 There is a museum where you can learn more about the long history of the town. 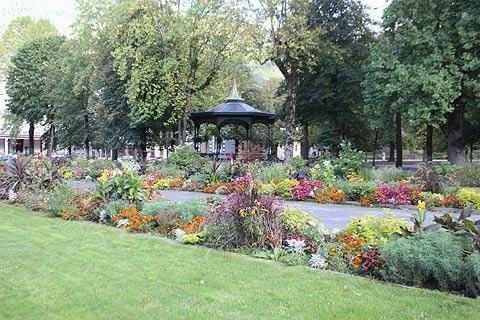 Note: the name of the town is often shortened to Luchon on road signs and in tourist infomation. The ski-resort at Superbagneres is close by (8 minutes up the hillside by cable car) - see our article about skiing in the Pyrenees for details about skiing at both Superbagneres and other resorts in the Pyrenees. A particular local scenic highlight is the Cascade d'enfer, a high waterfall in the Lys Valley, while numerous other trails are popular, including many focussed around nearby Hospice de France, in the mountains. 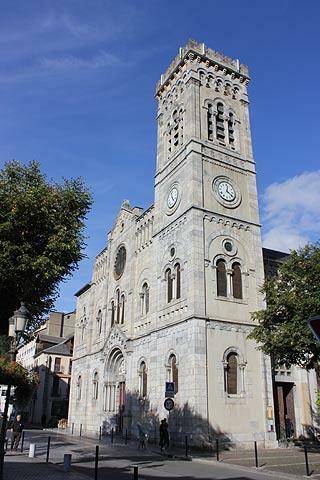 Among the other most popular activities are a tour along the mountain passes made famous by the Tour de France such as the Col de Peyresourde; the walk to the scenic Lac d'Oô; and a visit to the scenic village of Arreau a little way to the north of Bagneres.